Hello. Some of you may be thinking — I would love to buy for Java Relief so I can make the world a better place. But I sure hope this coffee is as good as they say it is. That's why we set up this page. Take a look at the rave reviews that we have received. Than once you buy our coffee, let us know what you think. We would love to add you to the list! Some of you may be thinking — I would love to buy from Java Relief so I can make the world a better place, but I sure hope this coffee is as good as they say it is. That's why we set up this page. Once you buy our coffee, let us know what you think. We would love to add you to the list! The Beauty Behind the Bean. Roasting Java Relief Coffee is an art! 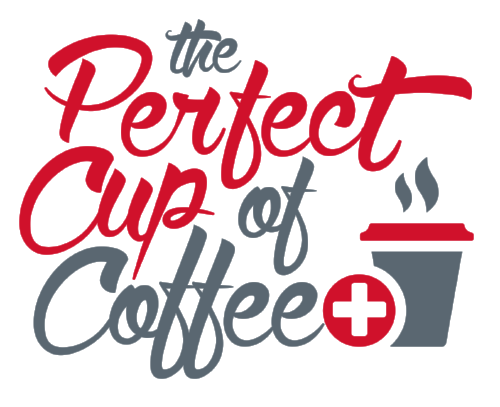 "I love the Java Relief Black Forest blend! It's is the best coffee I've ever had in my life!" "Had my first cup of Java Relief Chenet French Roast this morning and it was very smooth and rich making it a great morning coffee experience. Thanks to Steve and Brandy for making this great coffee and for the wonderful work you do for children at risk!" "This is our first time with Java Relief, but the Chenet coffee is a TREAT! It has such a wonderful aroma and smooth taste; don't quite know how to say how much we've enjoyed it. It's a great program that the Siewerts are doing and the pleasure of having such a treat in coffee is another good reason to subscribe to it. Looking forward to trying the other coffees and having the pleasure of a "really good cup of coffee". My husband and I are coffee snobs. We LOVE a good dark roast coffee. We now are even having a hard time drinking Starbucks because it does not have the depth of flavor that Shire Roast has. I also have had the privilege of meeting the children that this coffee is helping. There is no greater joy then helping these children with a great cup of coffee. We just had Soleil for the first time and we love it! That's our new coffee now. Just enjoying my first cup of this!! Rich, bold, I LOVE IT!! The decaf is exceptional! Full-bodied and rich, one of the best decafs I have had!! The Luken blend is delicious! So smooth...As I sipped on this fresh brew I thought of all the children this will be benefitting. Then I thanked God. We just got to the cabin and opened up the Java Relief coffee and it is amazing! At home, I have a (pod brewer) and only drink one cup of coffee in the morning, but now I need to consider bringing my coffee pot back! ...had my first cup of Shire blend a few minutes ago. I'm impressed - really good coffee! Wake up and do good! Now this is some great coffee! This morning I had REALLY, REALLY GOOD coffee! Maybe the best I’ve ever had!! We love love love, might have to get a coffee maker so I can make more then 1 cup at a time! We appreciate you and would love to hear from you! Tell us what you think of our coffee. Please note: If you submit this review, you are giving us permission to use it on our website. Thanks! Thank you for giving us a review! We really appreciate it.